Interview with Casper Van Dien! I had the distinct pleasure to talk with actor/filmmaker and known Starship Trooper Casper Van Dien about his new film ‘Showdown in Manila‘ amongst other things. We dive into working on the film, which was filmed on location in Manila and eating all the fun food. We also talk about his performances as Tarzan, Griffin Stone in Beverly Hills 90210, and his interest in music. Starship Troopers is also talked about of course. One of my favorite moments is when Casper discusses his deleted scenes in the film Rules of Attraction, where he played Patrick Bateman. Such a great story. 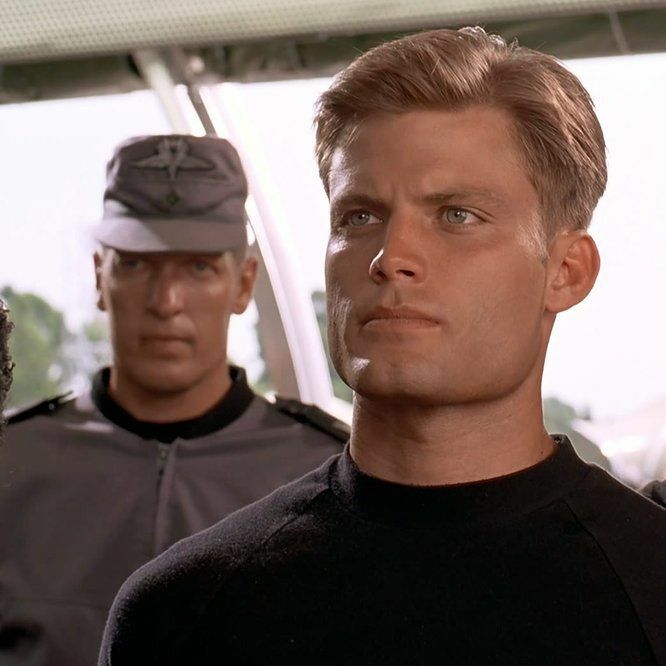 Casper Van Dien is a badass. Check out ‘Showdown in Manila‘ if you can. The audio is a little wonky here, so you might have to adjust your volume. And don’t forget to visit iTunes and Stitcher to subscribe to our podcast. Enjoy the show and see you next week! Thank you for listening. This entry was posted on Saturday, January 13th, 2018 at 5:54 pm	and is filed under Film, News, Podcast. You can follow any responses to this entry through the RSS 2.0 feed. You can skip to the end and leave a response. Pinging is currently not allowed. « ‘Thor: Ragnarok’ is coming to 4K UHD!